“Competition” is when many producers try to sell similar goods to the same set of consumers. The producers need to “compete” to try to attract more consumers, usually by lowering prices, offering better versions of the goods or services, or through marketing. Competition is the core concept of the Market Economy. Competition generally leads to lower prices, more choice, and better qualities of products for consumers than other types of economies. The reason for this is that with competition, there is very little “central planning” of the economy, while producers and consumers are able to act in their own self-interest. For a producer, this means that they want to attract as many customers as possible, and earn the highest profit. In an ideal setting, there are thousands of potential producers for any good. Lets say that a new market has opened – there is a street full of people who want to buy ice cubes. On this street is a building full of people who have freezers and tap water, so they are able to make ice cubes, and sell them. 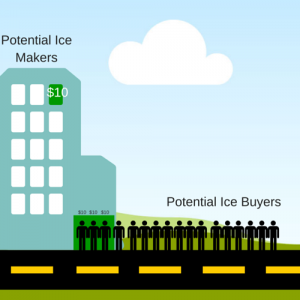 Immediately, one person makes and sells 100 ice cubes for $10, with no cost other than time. Because of Supply and Demand, very few of the consumers are willing to buy at this price (see our article on Supply and Demand Examples in the Stock Market for details). Seeing this profit, everyone else in the building starts making and selling ice. To get more profit, they also lower their price to attract more customers. 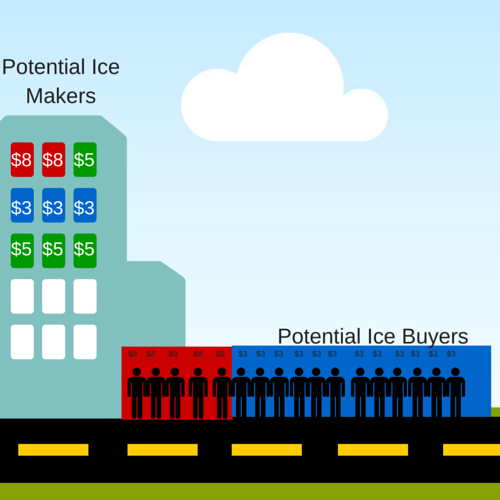 Since there is no difference in the ice made by each of the producers, all of the consumers always take the lowest possible price, which forces the producers to keep matching the lowest price offered by anyone else. At this low price, some of the producers decide that it is not worth their time and effort to keep producing, and so they drop out of the market. This means that the remaining producers can raise their prices a bit, since there is no longer as big of a market surplus. The Price War caused the market price to fall by a huge amount (70% at one point), and caused some of the less efficient producers to drop out of the market. In the end, the consumers finished with a large reduction in the overall market price. The remaining sellers still want to attract more buyers and earn higher profits, but at this point it is not possible while they are selling identical products. 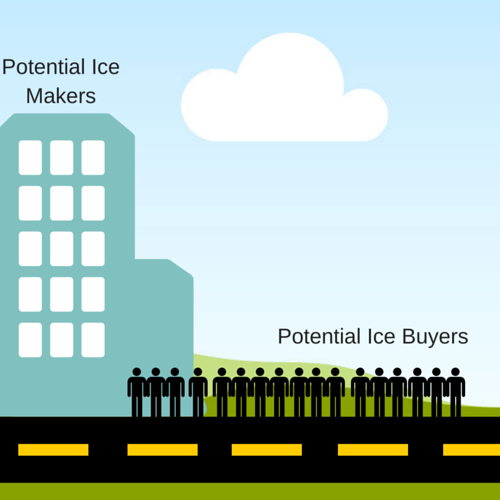 The result is product differentiation, or making their ice slightly different from the competition. Product Differentiation is a form of innovation that requires investment, this can include things like new machines or processes that reduce cost, or new features or product advantages that make it more attractive to consumers. For our Ice Sellers, lets say that some of the sellers used their profits to invest in new higher-capacity and energy-efficiency freezers that make it cheaper and easier for them to produce the same ice. At the same time, some of the other sellers used their profits to research methods to make “Luxury Ice“, like ice spheres and crystal-clear large cubes, which they can then sell at a higher price. Notice that at this point, there aren’t any more people buying the $5 ice anymore. This is because the “low-cost” producers are making the same ice for cheaper, while the “Luxury” ice makers are getting all the customers who are willing to pay more for a better product. The companies that don’t innovate lose their profits, and eventually are forced to close. 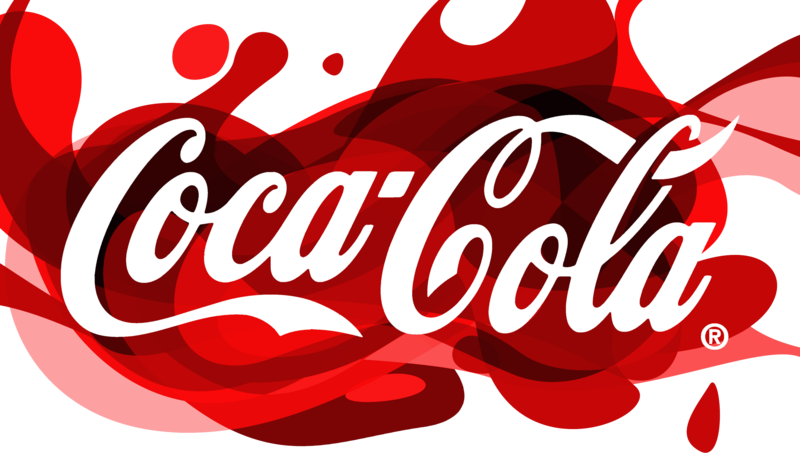 The competitive market resulted in a greater range of products, and a greater range of prices, for the consumers. 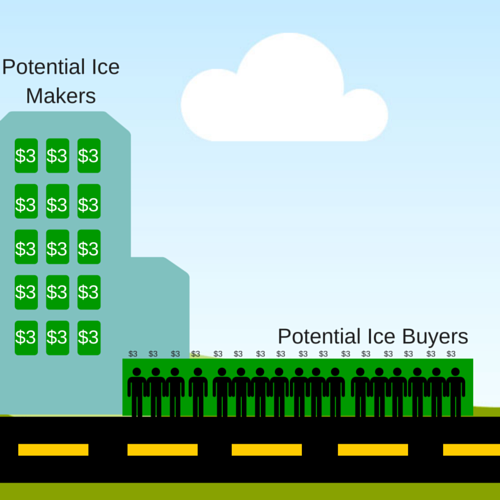 In the ice makers example above, all of the producers and consumers started in equal footing – all of the producers started with everything they needed to start making ice, and all the consumers knew who was selling what kind of ice and at what price. This is not usually the case in the real world, which can distort the normal competition. A “barrier of entry” is something that prevents a new producer from entering the market and selling a competitive good. At the start of our Ice Makers example, there were no barriers to entry, since all of the potential producers had the same freezers and the same water. At the end of the example, however, some barriers had appeared. 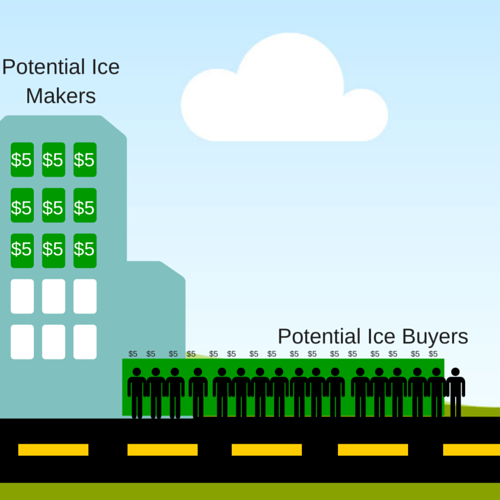 One group of ice makers invested in better freezers that could make the same ice as everyone else, but cheaper. This means that any new seller would have to invest in the same class of freezer in order to compete. One major barrier to entry in almost every industry is the ability to raise capital, or get the necessary investment to start producing and selling. The ability to raise capital is called a “Natural Barrier“, since it is the direct result of competition and improvements to the market. These barriers are not seen as “bad”, since they are the natural result of market innovation and product differentiation. Artificial barriers usually exist where the welfare of your employees or customers are at risk if certain precautions are not taken (like health code certifications at restaurants, or workplace safety inspections at a factory). Unfortunately, artificial barriers are also the most likely to be manipulated when there is a high level of corruption, either by inspectors demanding bribes for permits, or by businesses pressuring governments to put up restrictions to prevent new competition from entering the marketplace. Artificial Barriers cause the market price to increase for the goods being sold, since the producers need to pay these costs before they can even start to sell their products. In our Ice Makers example, we also said that all of the consumers had the same information about the producers. In the real world, you usually have to do some research to find out what all of your buying alternatives are. This means that if the consumers do not have a lot of extra time to dedicate towards researching different products and producers, they might not get the best prices. It makes more consumers aware of their products and where to buy them. This is usually the biggest information barrier new producers face. It tries to make consumers believe their product is better than the competition. If a consumer believes one product is better than another, they might still buy it even if it costs more. Producers will often put a lot of their resources into marketing – having a well-marketed product that consumers know how to buy can be just as important as being the cheapest or best product on the market. Not all markets have much competition. Cartels and Monopolies are the result of a breakdown in competition, either because of collusion, market dominance, or government intervention. One of the most well-known cartels is OPEC, or the Organization of the Petroleum Exporting Countries. OPEC members try to maintain strong oil prices to benefit their member countries, mostly by controlling the total output. The first major anti-trust law bans: “Every contract, combination in the form of trust or otherwise, or conspiracy, in restraint of trade”, banning cartels that hurt the free market. When producers within a country form a cartel, it is also called a Trust. Trusts exists mostly to just increase the profits of its members – in the late 19th century, Trusts in the steel and oil industries in the United States caused market prices to rise to much that the practice was made completely illegal. Anti-trust laws help prevent collusion between producers to raise prices for consumers, but they can occasionally have unintended consequences. There have been several cases where some producers simply accuse larger competitors of anti-trust violation just to force them to waste resources defending themselves against the accusations. A Monopoly is when a market is entirely served by a single producer, while competition is either barred completely or impractical to establish. Monopolies can arise naturally by a single producer simply forcing its competition out of business, buying any competing firms, but it more often arises from very high barriers to entry. Monopolies almost always cause the market price for consumers to increase, because rather than comparing two alternatives with different prices, they are forced to choose “have or have not” entirely. This can also cause innovation and research to stagnate, since the monopoly no longer requires as much innovation to maintain profits. In the United States, monopolies are usually illegal – there are many cases where large firms attempted to merge into one, only to be blocked by anti-trust laws fearing a monopoly. In some rare cases, the government will give a business the right to have a monopoly on a certain market. This happens when it is deemed that a single large producer will be able to provide better prices and quality than many producers acting independently. Sponsored monopolies that you might be the most familiar with are public utilities like electricity and water – these producers are allowed a monopoly in certain cities and regions, but under the condition that they have limits to how much they can charge and they must uphold certain quality standards. Another example is mining, fishing, and logging operations – governments might give exclusive rights to mine, fish, or log in a particular area to just one or very few companies in order to limit the environmental damage and avoid too much destruction taking place. 1 of 5) Which of the following increases competition? 2 of 5) What happens when there is less competition in a market? 3 of 5) What is one unintended impact of anti-trust laws? 4 of 5) Why might the government let a monopoly exist? 5 of 5) Which of the following is NOT a Barrier to Entry?